As part of my hermeneutics class, we must read some of the works of John Owen (1616-1683), one of the greatest (and often least known) Protestant theologians of history, and by many accounts, the greatest that England has ever produced. In this week’s reading from Pneumatologia, we read Owen’s thoughts on illumination (the role of the Spirit of God in helping us understand scripture) and perspicuity (the understandableness of scripture and it’s message). One of the questions he answers is, if God wanted us to understand Him, why are the scriptures not written in a more didactic fashion? Some think they have an advantage to charge the Scripture with obscurity, and do thereon maintain that it was never intended to be such a revelation of doctrines as should be the rule of our faith. Had it been so, the truths to be believed would have been proposed in some order unto us, as a creed or confession of faith, that we might at once have had a view of them and been acquainted with them; but whereas they are now left to be gathered out of a collection of histories, prophecies, prayers, songs, letters or epistles, such as the Bible is composed of, they are difficult to be found, hard to be understood, and never perfectly to be learned. In other words, scripture is obscure, and inefficient, if not ineffective, because it is not presented didactically (though, as Owen remarks, some parts like the books of Romans and Hebrews ARE presented as organized doctrinal treatises). 1. We should assume that the method in which the scriptures are presented to us IS the best way to communicate such truths. It is a sufficient reason to prove this the absolutely best way for the disposal of divine revelations, because God hath made use of this and no other. While this certainly appears to be circular reasoning, what he is really saying is that we should, at least for the moment, put aside our pre-supposition that didactic presentation of truths is the best way in which such truths should be captured and communicated, and assume for the moment that a different method may actually be better for accomplishing the ends of God and scripture, which is to transform us with the truth and bring us into relationship with the Creator. 2. Didactic teaching, as opposed to communicating through stories, poetry, and other methods, robs them of their power. God puts not such value upon men’s accurate methods as they may imagine them to deserve, nor are they so subservient unto his ends in the revelation of himself as they are apt to fancy; yea, ofttimes when, as they suppose, they have brought truths unto the strictest propriety 189of expression, they lose both their power and their glory. Hence is the world filled with so many lifeless, sapless, graceless, artificial declarations of divine truth in the schoolmen and others. which they meet withal in the Scripture, which they would never have obtained in those wise, artificial disposals of them which some men would fancy! Truths have their power and efficacy upon our minds, not only from themselves, but from their posture in the Scripture. There are they placed in such aspects towards, in such conjunctions one with another, as that their influences on our minds do greatly depend thereon. He is no wise man, nor exercised in those things, who would part with any one truth out of its proper place where the Holy Spirit hath disposed and fixed it. 3. “Artificial methodizing” of truth may help us in our comprehension, but such ready comprehension may actually hinder the type of intuitive apprehension of truth that actually transforms us. Artificial methodizing of spiritual truths may make men ready in notions, cunning and subtile in disputations; but it is the Scripture itself that is able to ‘make us wise unto salvation.’ Such a systematical proposal of doctrines, truths, or articles of faith, as some require, would not have answered the great ends of the Scripture itself. All that can be supposed of benefit thereby is only that it would lead us more easily into a methodical comprehension of the truths so proposed; but this we may attain, and not be rendered one jot more like unto God thereby. The main point of scripture study, and the pursuit of truth, is to be changed by it. And the problem with us is that, we usually think that, once we have understood truth, we have embodied it, and such predigested doctrinal presentations lend themselves to this habit of self-deception. A nice way to summarize this is that the purpose of scripture is not merely to inform us, but to transform us. If any expect that the Scripture should be written with respect unto opinions, notions, and speculations, to render men skillful and cunning in them, able to talk and dispute about all things and nothing, they are mistaken. It is given us to make us humble, holy, wise in spiritual things; to direct us in our duties, to relieve us against temptations, to comfort us under troubles, to make us to love God and to live unto him, in all that variety of circumstances, occasions, temptations, trials, duties, which in this world we are called unto…. Sometimes an occasional passage in a story, a word or expression, shall contribute more to excite faith and love in our souls than a volume of learned disputations. It doth not argue, syllogies, or allure the mind; but it enlightens, persuades, constrains the soul unto faith and obedience. This it is prepared for and suited unto. Our tendency is often to rely on our own wisdom and abilities, rather than reaching for and depending on God to teach us. In fact, we might entirely avoid interaction with God in favor of intellectual apprehension of truth if reason alone could reveal to us the meaning, impact, and application of scripture to our lives. In fact, as I mentioned previously when discussing whether or not we can be sure of our spiritual convictions, illumination is necessary in order to overcome our own spiritual ignorance, corruptness, and limitations there is unto the understanding of it use made of that aid and assistance of the Spirit of God concerning which we do discourse. Without this the clearest revelations of divine supernatural things will appear as wrapped up in darkness and obscurity: not for want of light in them, but for want of light in us. And in fact, the necessity of illumination means that even those with lesser intellectual capabilities can take heart, because they have access to the teacher (the Holy Spirit), and can, at least in a spiritual sense, know as much about God and his ways as the well-schooled. Thus all things are made plain unto the meanest capacity; yet not so, but that if the most wise and learned do not see the characters of infinite divine wisdom on things that seem most obvious and most exposed unto vulgar apprehension, they have no true wisdom in them. The minds of men are prepossessed with opinions, dogmas, principles, and practices in religion, received by tradition from their fathers; or have vehement and corrupt inclinations unto such ways, practices, and opinions, as suit their carnal reason and interest. to give countenance unto his own darkness. Some things are in the Scripture disposed on purpose that evil, perverse, and proud men stumble and fall at them, or be farther hardened in their unbelief and obstinacy…. So our Lord Jesus Christ affirms that he spake unto the stubborn Jews in parables that they might not understand. 6. The scriptures were written to communicate truths across history, with different emphases at different times. It was not given for the use of one age or season only, but for all generations, for a guide in faith and obedience from the beginning of the world to the end of it. And the state of the church was not always to be the same, neither in light, knowledge, nor worship…. If all divine truths had from the first been stated and fixed in a system of doctrines, the state of the church must have been always the same; which was contrary unto the whole design of divine wisdom in those things. As for types, allegories, mystical stories, and obscure predictions, he made use of them under the Old Testament on purpose to draw a veil over the things signified in them, or the truths taught by them; for the church was not yet to be acquainted with the clear knowledge of the things concerning Jesus Christ and his mediation. Simply put, didactic teaching does not really lend itself to items that must be communicated metaphorically or in a veiled fashion. To make the truths somewhat hard to find so that men would make an effort to seek God and work for truth, rather than just giving it away cheaply, and in so doing, cause men to take it for granted. To force us to come across other truths than merely those we are looking for – because often, we need or will need truths that we never sought for. All in all, some very interesting theology. See Part 2: Why are the scriptures not written more plainly? 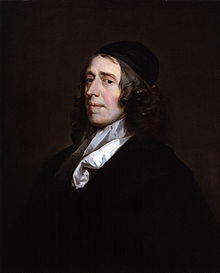 John Owen (1616–1683), one of the greatest (and often least known) Protestant theologians of history. One of the questions he answers is, if God wanted us to understand Him, why are the scriptures not written in a more didactic fashion? So, when you place these reasons in the balance with 8 million Christians who killed each other during the eight French Wars of religion and the Thirty Years War do these reasons make any sense of why God did not teach didactically or why what we find in the Bible was made to be hard to exegete? I don't think so at all. You presuppose that Christians would behave better if God had been more clear. Why suppose that? Christians are human beings and (according to us Christians) are as in need of transformation from our sinfulness as anyone else. Facts do not transform character, they do not change hearts. Christ taught that we were meant to love our neighbors as ourselves; how would knowing FACTS about God make us more likely to do so? If you ask me, had God wanted to communicate doctrinal facts to us he'd have miraculously planted that knowledge directly into our minds rather than going through the round about method of inspiring people to use written language which requires interpretation. That God DIDN'T do so implies that God (assuming as I do that God exists) didn't care about such doctrinal clarity.